As iOS device owners are still digesting the news that popular social application Path sends the complete contact iPhone contact list to its servers, one developer has created a new tweak for jailbroken phones to warn you which apps may do the same. 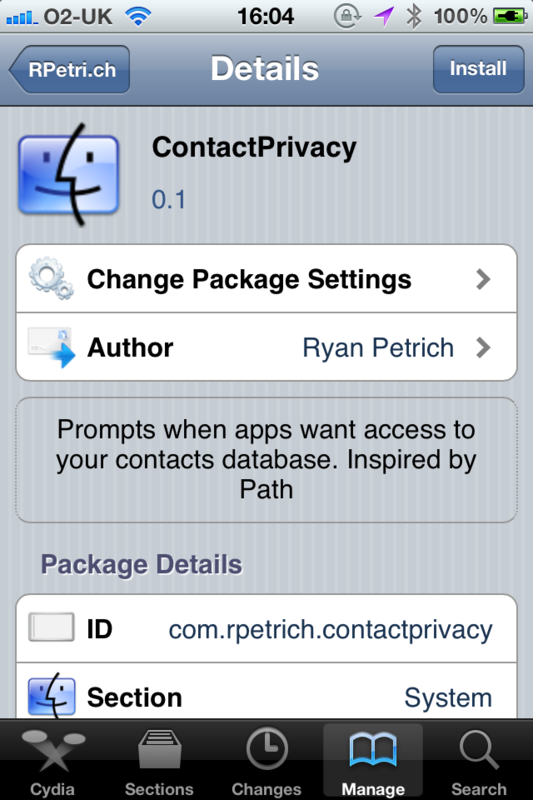 Created by jailbreak app developer Ryan Petrich, ContactPrivacy silently installs itself to the iPhone’s system and listens for any app to make a request to access your contacts on your iPhone or iPad. Each time an app does so, a system popup will be displayed and allowing you to approve or revoke access. 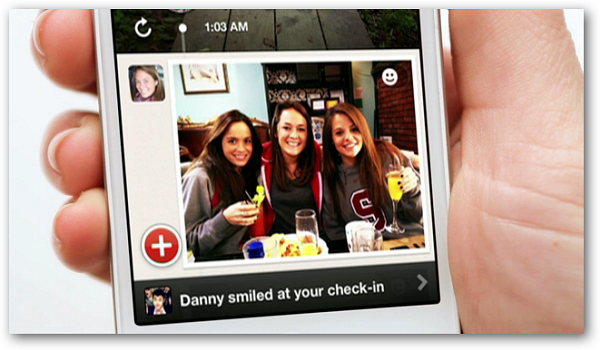 We upload the address book to our servers in order to help the user find and connect to their friends and family on Path quickly and effeciently as well as to notify them when friends and family join Path. Nothing more. We believe that this type of friend finding & matching is important to the industry and that it is important that users clearly understand it, so we proactively rolled out an opt-in for this on our Android client a few weeks ago and are rolling out the opt-in for this in 2.0.6 of our iOS Client, pending App Store approval. To install the tweak, you obviously need a jailbroken device. If fulfil this criteria, head into Cydia and add the following respository: rpetri.ch / repo. It will not install an icon, it will only display something if it notices an app requesting your contacts. It’s worth noting that, while Apple restricts application access to your own contact card heavily, it has someohow neglected to put any mandatory check in for access to Address Book info. While it does ‘require’ it in its App Review Guidelines, the mechanics of iOS don’t require developers to ask users permission. This lack of a natural check and balance is largely what led to the Path debacle. 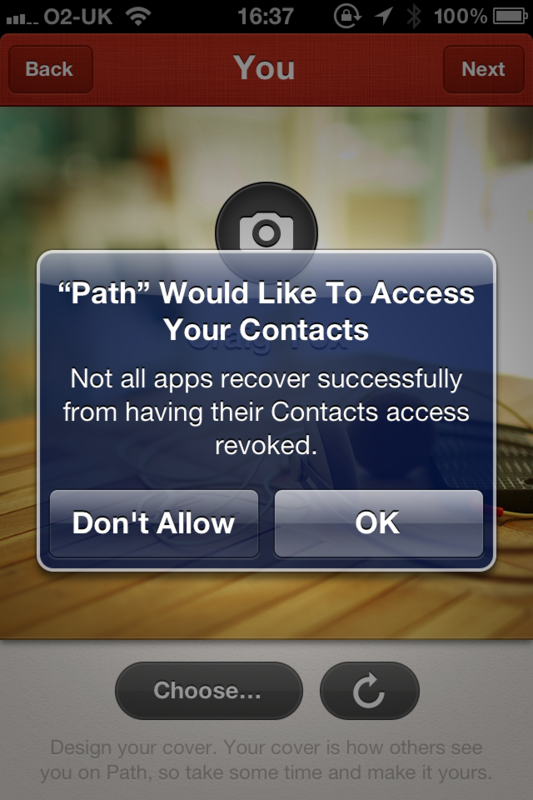 Path has said that it will make the feature opt-in but the practise of uploading contacts to app developer servers is not new. This app will help you revoke access for most apps, giving you piece of mind.